The ivory trade and accelerating habitat and range loss have put African elephant populations at risk. Recent research by STE revealed that an estimated 100,000 elephants were killed for their ivory in Africa between 2010 and 2012. The number of elephants remaining in Africa is uncertain, but are likely to be in the region of 500,000. Taking into account births these losses are driving declines in the world’s wild African elephants on the order of 2-3% a year. 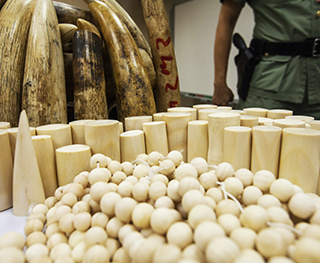 The ivory trade is fuelling organised crime and insecurity as traffickers smuggle tusks through the same networks as other high value illegal goods such as drugs. Ultimately the trade is driven by demand for ivory in consumer countries, mostly in the East, where it is sought after as a status symbol and an investment. You can help us secure a future for elephants through donations. Elephants are increasingly being crowded out of their habitats. Humans are encroaching these lands for farming and infrastructural development, which leaves elephants with small patches of disconnected land. 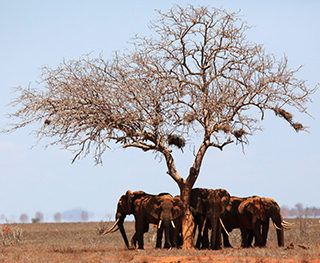 Africa’s human population is surging and pushing ever more into elephant rangelands. When farms are established where elephants are used to roaming they become a target for crop-raiding by hungry elephants. A year’s crop can be wiped out in a single night, creating understandable resentment. 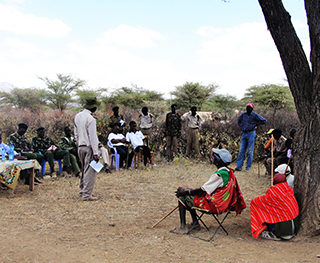 Both farmers and elephants can be wounded or killed in the conflict that ensues. Pressure from livestock grazing in elephant rangeland is also mounting, impacting the amount of food available for elephants and increasing the chances of herders being attacked by nervous elephants. With an increasing human population comes infrastructure development. Roads, railways, piplelines and human settlements can all form barriers to wildlife movements, fragmenting habitats into ever smaller areas. Without corridors to link these islands of habitat, herds can have trouble reaching food and water at certain times of year. They may also be separated from other elephant groups, decreasing their breeding opportunities. This is not healthy for the genetic diversity of the population. When grazing goes unchecked, it can quickly eliminate grass in an area. This means less food for both livestock and wildlife, including elephants, and leads to soil erosion that impacts the growth of grass in the future. It is important to identify and allocate grazing land for livestock away from wildlife areas, unless tight controls can be established.